The 2017-2018 Essential Harlem, Washington Heights & Inwood Guides are here! Snag your copy before their gone from NiLu, local news racks or CLICK HERE to view online. We’ve got several new promotions to celebrate the end of summer! 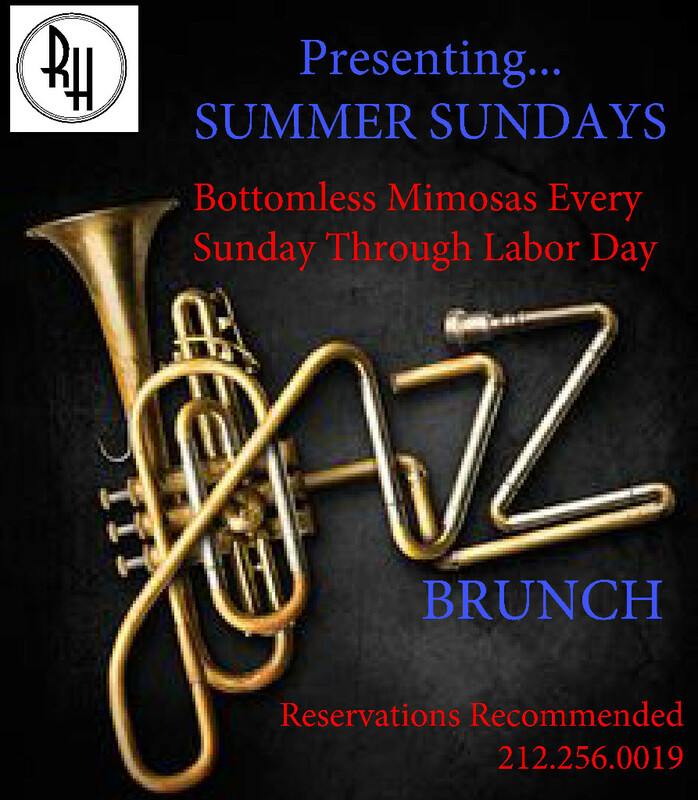 You asked and we’re happy to oblige- every Sunday from now through Labor Day we’ll be offering our ‘bottomless mimosas’. Now that’s a Sunday Funday! 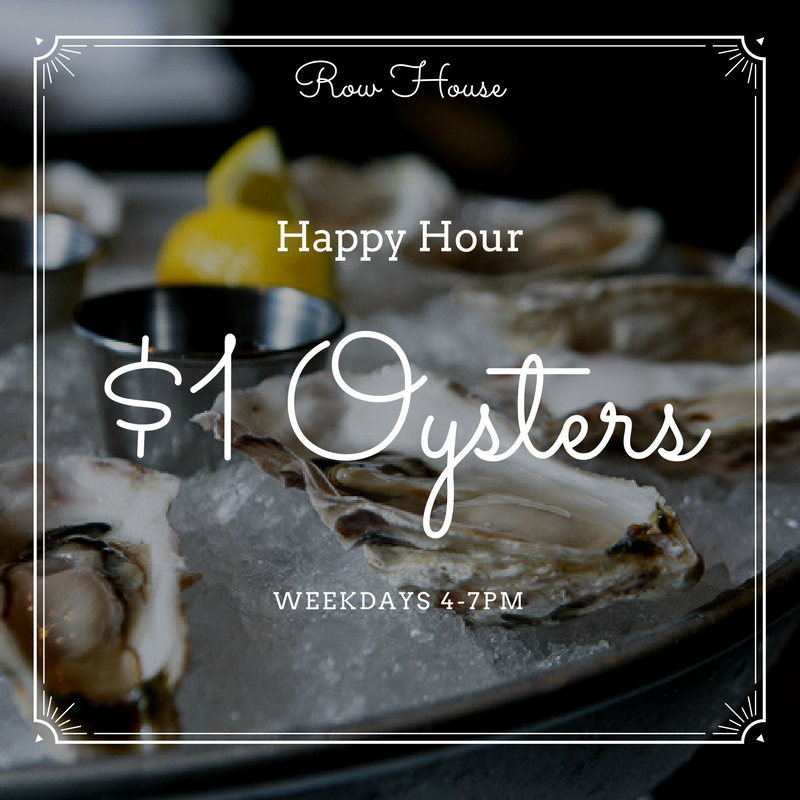 We’re all about family at Row House. 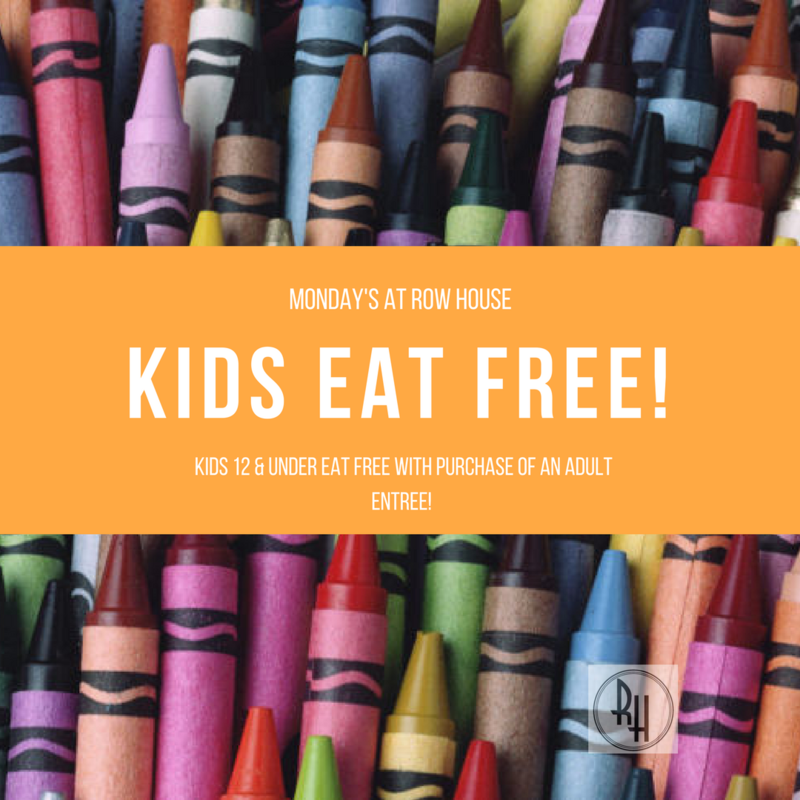 Bring the kids on Monday’s and children under 12 get a free meal off the kids menu with purchase of adult entree. 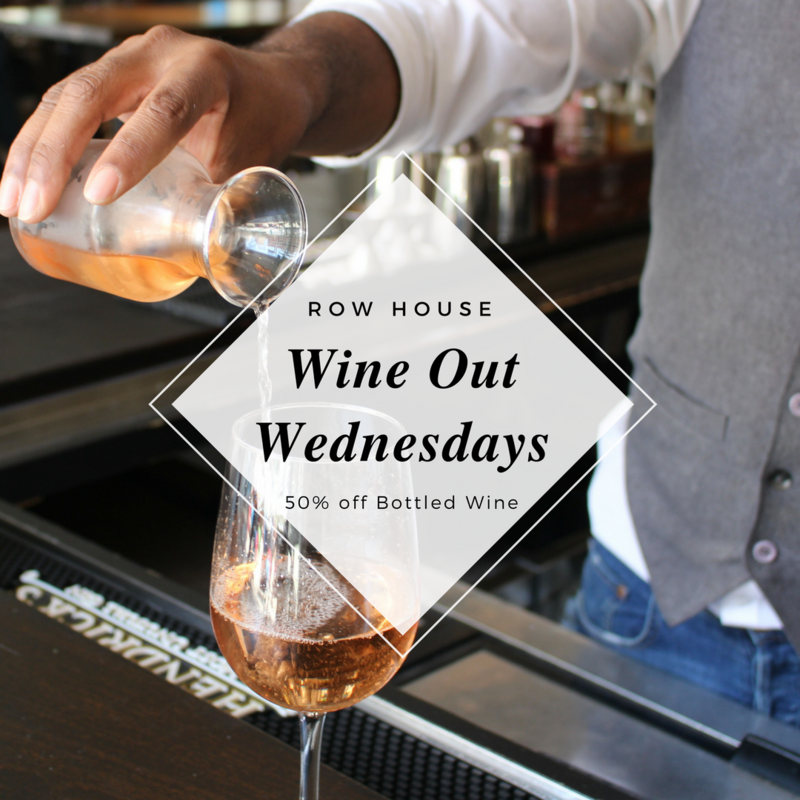 Wednesdays get a bad rep.
We’re making Hump Day a little more bearable with 50% off all wines by the bottle. Whole Foods Harlem: Beginning of the End? This Friday, Whole Foods Harlem turns two weeks old. Rather than rush to a snap judgment over the upscale supermarket’s arrival uptown, I chose to let its presence sink in for a bit before deciding how I really felt. Unpacking my thoughts like a recyclable grocery bag isn’t so easy, because the reality of a 125th Street Whole Foods is complicated. Some feel it’s a doomsday harbinger of things to come, re: rising property rates and further gentrification. Others predict the shuttering of other local supermarkets, leaving the expensive chain as an only choice outside the price range of many Harlemites. All year, my reaction to “How do you feel about Whole Foods coming to Harlem?” was incredulousness at the question being posed in the first place. Since the megastore opened at Columbus Circle in February 2004, Harlem neighbors have been schlepping grocery bags uptown; we’re not new to Whole Foods, or to natural and organic eating. We’ve ridden the 1-2-3, A-B-C-D subway lines with booty from Trader Joe’s and Whole Foods for over a decade, not to mention Fairway over by the West Side Highway. Those who can afford it have been importing their groceries for quite a while, at least for choice items unavailable at the Foodtowns and Key Foods of Harlem. So the heart of the question comes to light: will Whole Foods lead to the further forcing out of African Americans in Harlem? We’ve all heard the organic grocer derisively referred to as Whole Paycheck. The supermarket most of all serves those who can buy their overpriced groceries, which could lead to more well-to-do non-blacks migrating to the neighborhood to shop and live. Harlem gets more attractive to those outside its longstanding community with every new coffee shop, wine bar and upscale eatery that opens. Rising rents (justified by amenities like a nearby Whole Foods) demonstrably lead to less people of color in the neighborhood over time. I believe in black resilience. Personally, a supermarket causing the erasure or displacement of African Americans in Harlem is something hard for me to take too seriously. Hundreds of open Whole Foods jobs were filled by native Uptown residents, something to be thankful for. As a one-time vegetarian, I’ve got the general health of the community in mind too when I think of all the organic food void of artificial preservatives and such now readily available as close as 125th Street. Don’t we deserve to eat as healthy as other Manhattan residents? And yet in the final evaluation, whether Whole Foods is a danger or not turns on the question of money. The greater doomsday scenario of Harlem transforming into a majority white community boils down to who can afford to live here. Middle-class and affluent African Americans do (quite obviously) exist, and will continue to populate the brownstones and condos of Harlem as the area slowly continues to gentrify over the next decade. Call me optimistic, but we ain’t going nowhere. It’s Harlem’s poorer residents who, priced out of Harlem, will suffer displacement to further uptown in Washington Heights, Inwood, the Bronx and outside of the city completely, reverse-migrating down south to the Carolinas and elsewhere. Plenty of evidence exists for revamping New York City exclusively for the rich, and Harlem, unfortunately, falls within that grand scheme. But I’m still not pessimistic enough to believe that Whole Foods represents a tipping point. The Soul Train Tribute — arguably the hottest Jam in the park for six consecutive years — celebrates the soundtrack of American social movements with a tribute to Freedom Songs from the Soul Train Era! With Music spun by DJ Stormin’ Norman of Sundae Sermon, this tribute will feature music from Soul Train artists: James Brown, Marvin Gaye, Curtis Mayfield, Aretha Franklin, Stevie Wonder and others interpreted by an all-star cast of independent artists including: Aiyana Smash, Abiah, Asa Lovechild, Bruce “Big Daddy” Wayne, Keith Anthony Fluitt, Petawayne, Lorinda Robinson, Shelly Nicole and others! Poet Kevin Young, latest director of the Schomburg Center for Research in Black Culture, titled Pulitzer-winning author Colson Whitehead’s first book, 1999’s The Intuitionist. The association with Whitehead (stemming from college-buddy days at Harvard) was the first I’d ever heard of Kevin Young, but certainly wouldn’t be the last. With 11 books of his own spanning the past 19 years— including Most Way Home, the Jean-Michel Basquiat-influenced To Repel Ghosts and The Book of Hours—he’s made his mark as the most impactful black male poet of his generation this side of Saul Williams. As the newly appointed Schomburg director, as well as (starting November) poetry editor of The New Yorker magazine, Young’s career continues its upward mobility. The 46-year-young (no pun intended) poet recently spoke with Experience Harlem about his new artistic duties, favorite Harlem haunts and more. What interested you in taking over the Schomburg? The Schomburg has always held a central place in all of our cultural vision I would say. 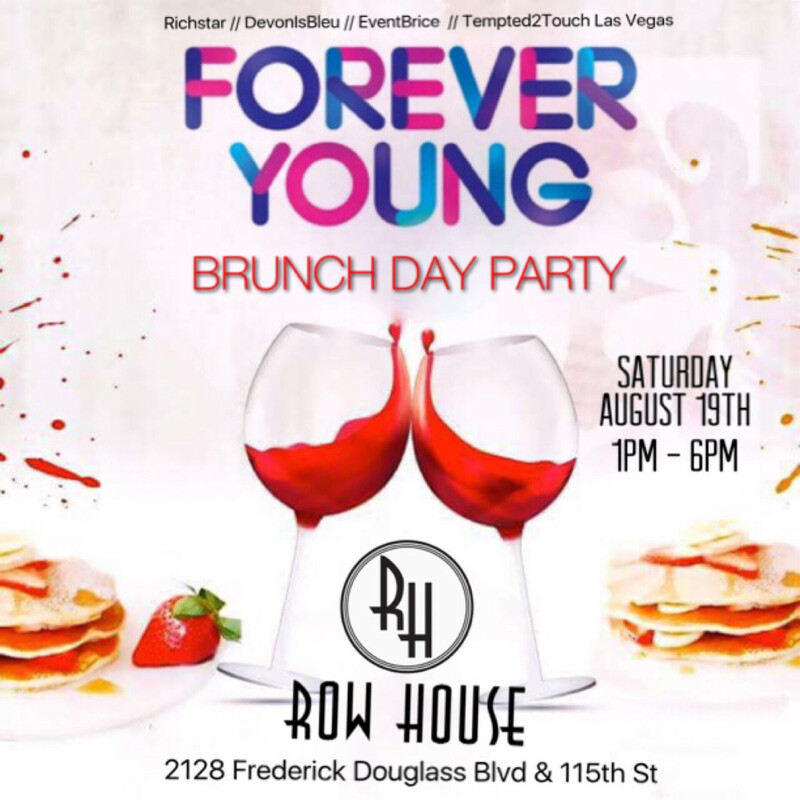 It’s so central to African-American culture and the African diaspora culture the world over. So I was always aware of it. I’ve read here before, and I’d worked in the library for many years. And when there was a chance to be able to helm it and think about its future and its illustrious past, I really was excited to do so. Tell me about your new role at The New Yorker. I haven’t started yet, I’ll start in November. But I’ll be poetry editor and selecting the poems for the issue. But I’ll still be here at Schomburg. I really see those two missions as similar. One is thinking about the culture and making decisions that I hope help the culture along, and thinking about connections between writing and our broader moment. I’m normally interested in the way that there seems to be a black renaissance again happening. The Schomburg is at the center of that, and certainly some of those folks already are in The New Yorker. And it’s a pleasure to be there doing that. Explain the center’s current Black Power! exhibit, running through December 2017. Our curator Sylviane Diouf has done a wonderful job of pulling together the many strands of what she rightly called the Youth Movement. One that she sees as tied to the Civil Rights Movement, one that of course is in dialogue with it in many ways. And I’m always struck by the way that Black Power—both the phrase and the images of the black power, which sort of becomes central to the Black Panther Party—arise from the South, or at least they come out of SNCC. I’m really interested in that myself. And just in terms of why folks should come, it’s just a beautiful, well-organized show with the international aspects of Black Power, the cultural black arts movement part. I wasn’t aware there were Australian aboriginal Black Panthers, that there were Israeli Black Panther Party members. All of this kind of broad movement is captured there, both visually and in terms of the material. You’re gonna see a volume 1, number 1 very first issue of The Black Panther newspaper, which is incredibly rare. And I think it’s a great sign that it’s a copy from one of our volunteers who was a Panther, so it’s sort of in the family. And it’s a lovely show. What are some of your favorite Harlem spots we should all try? Well, if I tell you the spots, then other people might go there. [laughter] I really love the Harlem Bar- B-Q joint. It’s good, I had some chicken and waffles from there 10 minutes ago. And there’s always Harlem Tavern, which is a good spot for the game or to get a beer. There’s many, so I hate to leave people out. Top 5 Harlem Rappers of All Time! Kool Moe Dee, né Mohandas Dewese, made his name as a standout performer in The Get Down-era 1970s with the legendary Treacherous Three. Moe Dee’s clever, rapid-fire wordplay (see “The New Rap Language”) paved the way for his solo career after the group split in 1984. The West Harlem MC started releasing solo singles in 1985, which led to his self-titled debut album in ’86. KMD would later drop his most well-known single, “How Ya Like Me Now,” still a catchphrase meme to this day. The album of the same name sold over a million copies and solidified his status as one of the most popular rap pioneers to achieve success during hip-hop’s first golden age, alongside upstart legends like Run-D.M.C. and LL Cool J. Old school hip-hop heads witnessed an infamous battle between Kool Moe Dee and LL back in the late 1980s. Allegedly, the beef began after Moe Dee accused Uncle L of stealing his style and not paying enough homage to the MCs before him. Despite releasing only one album in his lifetime (1995’s Lifestylez ov da Poor & Dangerous), the late Big L is generally regarded as one of hip-hop’s most adept lyricists of all time. The Harlemite was killed in a drive-by shooing back in 1999 at 24 years old. On the microphone, Big L (born Lamont Coleman) was intricate, intriguing and clever. 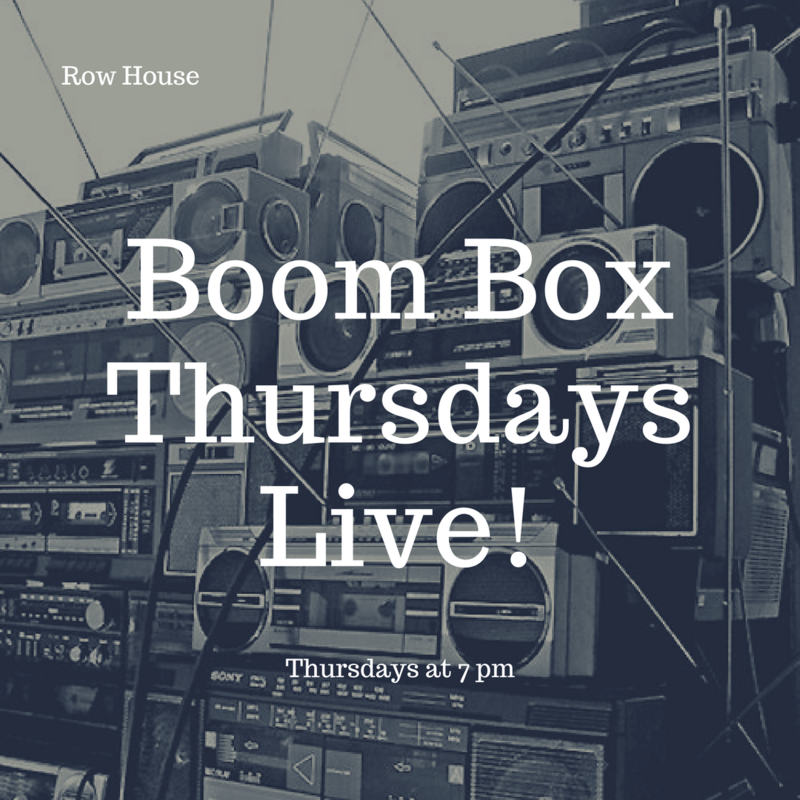 His rap career begin in the early ’90s, when he teamed with fellow Harlem natives Cam’ron, Mase, McGruff and the late Bloodshed—collectively known as Children of the Corn. The rapper, who once emceed alongside Jay Z on The Stretch and Bobbito Show, made his first solo appearance on Showbiz & A.G.’s “Represent,” a song off their 1992 debut, Runaway Slave. L’s most noteworthy songs include “Ebonics (Criminal Slang),” “ ’98 Freestyle” and “Deadly Combination” featuring 2Pac, all from the 2000 posthumous album, The Big Picture. Even today, Big L remains a celebrated hip-hop artist, not just in Harlem, but worldwide. Cameron Giles, a.k.a. Cam’ron, is probably the most colorfully exciting MC from Uptown. If you’re old enough, you may remember Killa Cam as a member of Children of the Corn—alongside Mase, the late Big L, McGruff and his late cousin, Bloodshed. At the height of the physical mixtape/CD/DVD era, Cam’ron and his Diplomats crew rose to become some of the most popular rappers in hip-hop thanks to Cam’s witty wordplay. In fact, it can be argued that for a brief period (2007-2008), Cam’ron was one of the better MCs in New York City. But not only was the former basketball player a fierce rhymer, he transcended rap to fashion and film. Cam was so popular that renowned political commentators Bill O’Reilly and Anderson Cooper tapped the Harlem kid to appear as a talking head on their programs. Harlem’s Rakim Mayers—a.k.a. A$AP Rocky—is a rapper who valued style over substance on his breakthrough mixtape, Live. Love. ASAP., as well as his debut studio album, Long. Live. ASAP. But Rocky’s style isn’t typical New York. The 28-year-old rapper has a thoughtful kaleidoscope of styles that he borrows from Southern screw music and California haze trends, which is ironic, because his parents named him after the NYC boom-bap legend, Rakim. While Rocky might not be saying anything new, he always sounds (and looks) pretty damn cool saying it. He also has feet firmly planted in the world of fashion, as a flip through any GQ magazine of the past few years will tell you. His weird latter-day U-turn—an international ministry, a largely ignored comeback attempt, and an even-more-ignored second comeback attempt—has obscured just how much of an impact Mason Betha made in the wake of the Notorious BIG’s passing. Harlem World (1997), a Billboard chart-topping, quadruple-platinum record, made Sean “Diddy” Combs’ second fiddle the Bad Boy Entertainment label’s golden boy, thanks to across-the-board hits like “Feel So Good.” Though nowhere near close to the lyricist Biggie was, the kid could always style on a track.